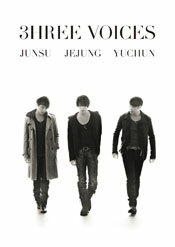 “a-nation’10′ DVD that has appearance of TVXQ Junsu, Jejung, Yuchun is going to release! A limited edition T-shirt will accompany the a-nation’10 BEST HIT LIVE DVD in BOX set specification (first press limited edition only). 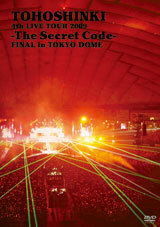 Everyone in Bigeast, Good afternoon! In response to the requests that we have received earlier, Tohoshinki 1st – 4th Live Tour DVD Limited Edition & Tour goods (T-Shirts / Towels) will be reprinted for sale!! For customers that purchase the DVD and goods set, you will get an original lunch tote bag as a present. ※As this is 2 DVDS, price may differ from normal edition. Thanks for the reader who gave me the link! Starring Tohoshinki’s Yunho in his first acting role, Korean Drama “No Limit ~Heading to the Ground~” whose DVD topped the Oricon charts, will be releasing its OST on 25 August! Please check out the Mu-mo original premiums! 1)	8-Page Mini Photobook with Yunho’s hand-written message printed inside. 2) 1 lucky person will receive a Life Size panel of Yunho with his signature. T/N: The tracklist for this OST will be the same as the Korean OST.